It has taken me awhile to write this post, but I’m really glad I waited until I was fully ready. Of course, it’s not like there was a time limit on this sort of thing. But when you live in a place for as long as I lived in Lawrence, KS, it feels like I owe her a goodbye letter. What a ride. I moved away from the only area I had known as home from the southeast Kansas area to Lawrence. in March 2000. I was working as a reporter for a small-town newspaper in nearby Eudora, which had a familiar feel to where I grew up, but Lawrence was a whole new experience for me. Streets were unfamiliar. I got lost a lot. I didn’t understand this whole thing about the Phog. Why is there a guy standing on a corner of Mass. Street with a sign that said “Honk for Hemp?” Who is this dude that walks around town with the black beret flashing everyone the peace sign? What about that guy who pushes a cart around downtown with a mannequin? There were strange things in Lawrence, and I wasn’t sure what to make of it at first. That first year was rough. I didn’t know anyone, and I mostly stayed in my studio apartment — which cost twice as much as the same type of apartment back home — watching movies I’ve never heard of from Liberty Hall. Not only could you rent movies from there, you could go see a movie on the big screen and grab a beer while you did. But with KU having the appeal that it does, I soon learned that some guys from back home were going to be renting a house together. My lease was ending, and I was asked if I wanted to live with them. My life took another turn after that. I bonded with these three excellent men. We had amazing discussions about music, philosophy, religion, politics, and women. We played music together. We sharpened each other. It was fantastic. Lawrence’s culture helped foster an environment where four men could come together and grow in such a spectacular way. And then I met the woman who would become my wife. She has since has told me it was a longtime dream of hers to move to Lawrence. A former military brat, she lived in Manhattan, KS. for her high school and undergraduate college years, but made the move to Lawrence to pursue her graduate degree. She got the degree, and I got the girl. Eventually I got a job working for the City of Lawrence. Up to that point, I was driving elsewhere for my work, but it was that job that made me really feel like I was turning into a townie. I loved that job. I loved living and working in Lawrence. I put my heart into it, because Lawrence had my heart. We had a kid. A few years later, we had another. We bought a house. And then we added one more kid for kicks. I really thought I was going to live in Lawrence forever. But around 2012, things started to shift. A friend invited me to come apply for an open position and work with him at the City of Olathe, but it took me awhile before I could muster the guts to do it. Could I really leave working in town? But the opportunity to work with a group of people who were doing some more advanced work than I was doing alone was too good to pass up. I got the job, and went back to commuting. It was the beginning of the end of my life in Lawrence. I ended up moving from that job after a few years, and left the public sector. I began to see a bigger picture: there was much more opportunity for better wages, more things for the family to do, and less expensive housing if I was willing to move away from Lawrence. I felt a pull to Kansas City, but the decision didn’t come easy. We would have to sell our house, and move the family to a totally unknown area. I wasn’t sure I could leave, but I wasn’t sure I could continue to stay. I tried to find a job where I could work from home and stay in Lawrence, but nothing panned out for me. We put our house on the market. It was under contract in six days. And on July 23, 2016, we left Lawrence for a new life in Kansas City, MO. Leaving wasn’t easy. But I’ve had some time to really think about it, and it was the right decision. Lawrence’s housing market is overpriced. The job market is depressed job market (unless you want to get into food service, hope you like Mexican food! ), and there doesn’t appear to be a vision for where the city will go in the coming years. Add to the mix that the city is in a state where the leadership is driving the state finances into the ground, and the prospect of the city becoming anything more than it already is doesn’t seem good. That said, there are things I really miss about Lawrence. We left many friends behind. I miss my familiar haunts — places like Amici Italian Market and Deli, and Munchers Bakery — and the many wonderful parks we would take the kids to play at. I loved the group of bright minds at Lawrence Coders, a group of developers who live in or around Lawrence. Their insight helped shape my career. If I think about it too much, I get a little angry. Why didn’t the city I love so much take its amazing potential and turn into something magnificent? The disparity between wages in Lawrence versus Kansas City is obscene. And according to the number of cars I saw on the interstate with Douglas County tags, many others had figured out that there was better money to be made elsewhere. But, the move wasn’t just about money. At least, not fully. Shortly after we got married, my wife took a job for the Lawrence newspaper throwing these ad-filled newspapers to everyone who wasn’t a subscriber to the actual newspaper (it was really just analog spamming), and in exchange we would get a discount on our cable/internet bill. I helped her do the work, and we got assigned to a fairly nice part of the city on the west side. I noticed something about the houses we threw those paper to: there was often no one at home. There we were, spamming people at 6 or 7 p.m. at night, and these big beautiful houses had no one at home. I finally figured out why: they were off somewhere working to pay for the house they had in Lawrence, but weren’t home to enjoy it. That experience made me realize we weren’t going to be one of those people, and when the time came to make a decision, we chose moving over a life of commuting. You cannot save time. Time is a resource that is spent whether you like it or not. But you can make choices to spend less time doing the things you hate and more time doing what you love. I wanted more time with my family, so the move was essential. I wasn’t going to throw almost two hours away every weekday to commuting anymore. I was done. I loved Lawrence. It’s a city that taught me so much about myself, about how it’s OK to be different, about how to really love your community, and about how to stand up for what matters in a way that has dignity. In the months since we’ve left, I’ve had moments where I find myself missing certain things here and there. I realize this is a good thing. It’s the sweet pain of love. And so, Lawrence, goodbye. I really enjoyed my time with you. You will always have a special place in my heart. This entry was posted in General, Uncategorized on November 29, 2016 by ericjgruber. 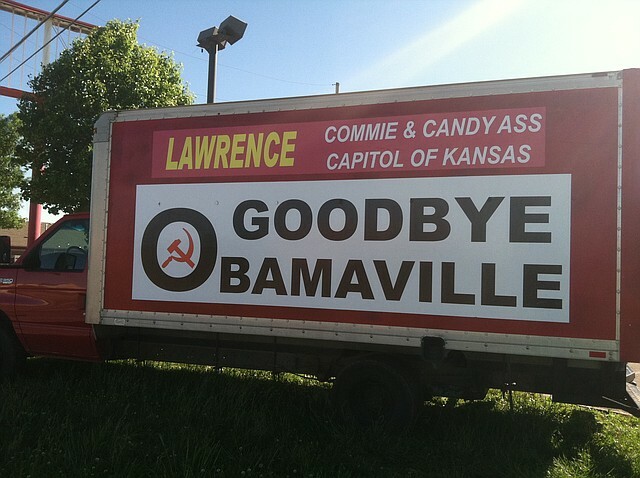 I hate Lawrence, but I loved your post. Thanks, Eric. That was a great insight.